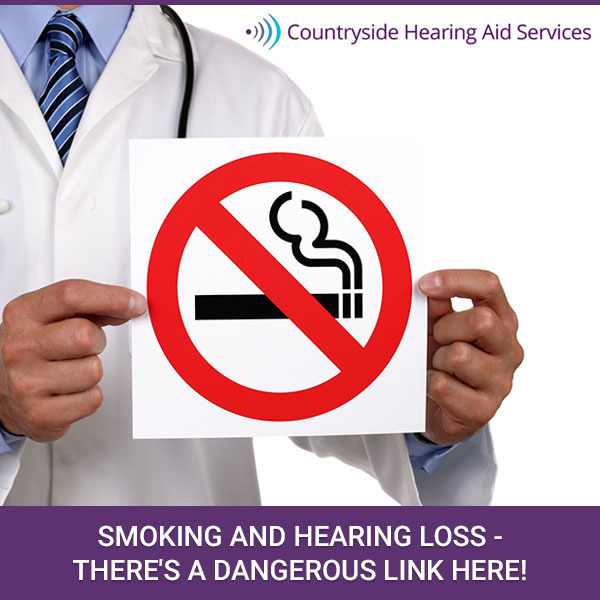 Smoking and Hearing Loss – There’s a Dangerous Link Here! If you smoke, there is a higher chance that you’ll eventually find yourself wearing hearing aids. That’s because there’s a well-established link between smoking and hearing loss. Additionally, even exposure to smoking (e.g. secondhand or in utero) can negatively impact the health of your hearing. This is something that’s backed by studies like the one done by Reuters News that discovered smokers are 60% more likely than non-smokers to develop high-frequency hearing loss. Older studies have also found similar patterns even among non-smokers who live with smokers. Such studies show these people are two times more likely to suffer from hearing loss than those who were never exposed to it. These studies also show that youth’s hearing health is also at risk. Teens who are exposed to cigarette smoke are at least twice as likely to develop hearing loss than those who have little to no exposure. Interferes with the neurotransmitters that are in your auditory nerve: These are what tell your brain the sounds you’re hearing. Trigger the release of free radicals: This causes disease since it damages your DNA. Causes tinnitus (ringing in your ears): Studies show that at the very least smoking leads to higher rates of tinnitus. As such, if you already suffer from tinnitus, you should know that smoking could make it worse. Causes ear infections: Smoking weakens your immune system and damages tissues in your nose and throat. Children who are exposed to secondhand smoke will not only get more ear infections, they’ll also have more frequent and severe asthma attacks and respiratory infections. Vaping is now commonly replacing smoking. Unfortunately, vaping does contain some of the same dangerous chemicals that cigarettes contain. Nobody is sure if it’s safer for your hearing either. These are some great reasons to quit and there are many ways you can do so today. Your doctor and the American Lung Association will have tips to help you do so. Anyone who already has hearing problems should make it a priority to stop smoking. You should also visit the hearing loss specialists at Countryside Hearing Aid Services to have an exam. Countryside Hearing Aids has been family owned and operated since 1979. They are a BBB Accredited A+ business and can be a significant help in helping with hearing loss.